Dallas the Chihuahua, is happy to be in a loving home. For those unaware, October is national Adopt a Shelter Dog month. If you are a dog lover, this month is a great time to add to your pet collection and save a life. Please consider adopting a ‘mutt’ rather than adopting a purebred puppy. Also, be aware that although puppies can be incredibly cute, adult dogs need homes as well. The longer these dogs remain in shelters, the shorter their chances of getting adopted become, and thus, the shorter their life expectancy. Unfortunately, to manage the flow of unwanted, abused, or stray animals, it is necessary for the shelters to make decisions about which dogs will be the most adoptable. This requires making space for the new animals by selecting older, sick, and difficult dogs and injecting them with lethal drugs to put them to sleep (unless it is a no-kill shelter). Sadly, it is less common for a person to adopt a full-grown dog, because “they are not as cute and puppies.” It is the goal of ‘Adopt a Shelter Dog’ month to change this mindset–to raise awareness that adult dogs can be wonderful companions and are often require less work to train compared to a new puppy. Adopting an adult shelter dog means you must give them all the love they deserve because in many cases they were at one time neglected mistreated. When brought to a new home, they will need additional reassurance and care. Dogs, like children, thrive best in a permanent and happy home. One of the saddest situations, is when an adopted dog, is returned to the shelter because the family decided that the responsibility is too much work. This was the case with one of my dogs, Dallas, who has been in various homes before he was even a year old and then returned to the shelter. 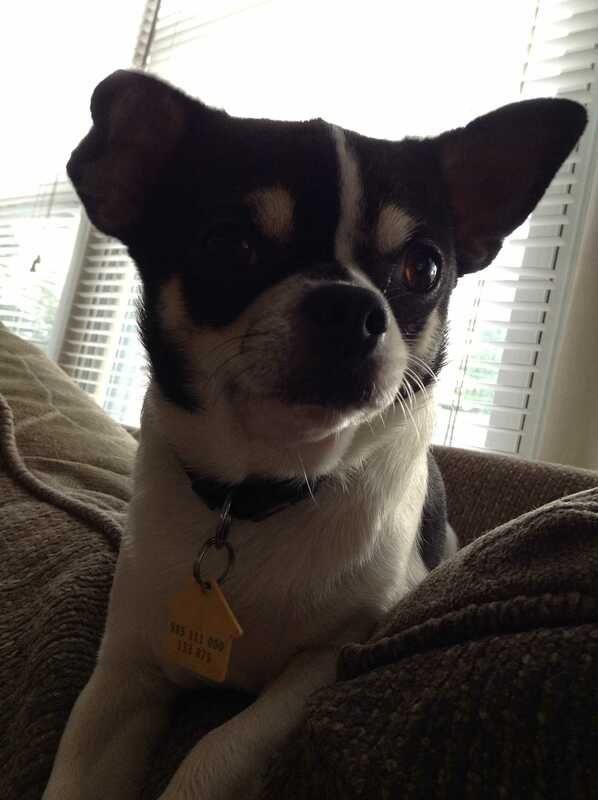 Being a Chihuahua, he automatically blamed for being an ankle-biter, and mean, but he became a wonderful family pet. I feel certain that the stress of being moved from place to place contributed to his anxieties and it does seem if he had been raised in my house from the beginning– from the time he was a few weeks old– he would not have been be such a jumpy, protective dog when we got him. In other cases, mature dogs with life experience may already be house-trained and obedience trained, so they might actually be less complicated to adopt. No matter what, a dog is a huge commitment and if you aren’t ready for the responsibility, adopting is not your best option. Also, be aware, that in some cases adopting a mature shelter dog can mean that you be bringing home a dog with special needs, like medical issues, medication requirements, or special diet requirements. This most crucial advice is: if you are adopting a puppy or a shelter dog, they really are a huge responsibility. Fully commit to your new pet and be prepared to give the attention and love they deserve. If adopting a shelter dogs sounds like a great idea, the ASPCA’s (American Society for the Prevention of Cruelty to Animals) website offers an organized way to search for just the right pup in your area. It even gets as specific as what breed you are looking for. Although searching for dogs via the Internet may be difficult because you aren’t interacting with them (even though you can selectively meet these dogs on your own time), visiting the Michigan Humane Society is a great alternative. They have a lot of animals, and seeing them firsthand is the right way to go about considering if you should adopt. Just stop by and look at their lonely, hopeful faces.